Eastasiasoft is at it again, giving yet another indie game a special physical release. The publisher has announced that “retro-inspired action platformer” GhoulBoy will be getting a limited physical release in March 2019. Stock will be very limited, so if this something on your eye, you better be prepared. Preorders will go live on February 14, 2019, so hopefully you don’t have any conflicting Valentine’s Day plans. The GhoulBoy physical release will be for both PlayStation 4 and PlayStation Vita. The preorders officially go live at 10 am EST (or 7 am EST), so be sure to mark your calendars. The release is limited to just 1,000 units, so it can sell out quick. 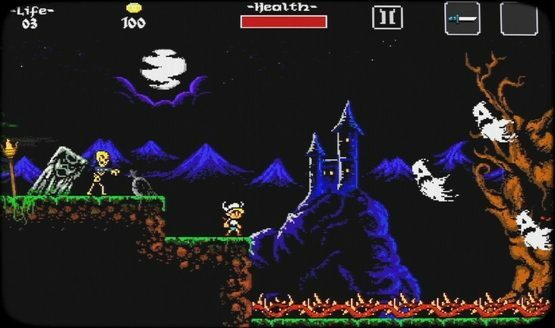 If you’re unfamiliar with GhoulBoy, it attempts to evoke memories of the 16-bit platformer of the 90s. It also has elements of hack-and-slash and action-RPG games. As you move your way through the mythical realm, you’ll hack your way through hordes of dangerous fiends. Along the way, you will find new spells and weapons to upgrade your arsenal. The release of GhoulBoy is one of many on the PlayStation Vita from eastasiasoft, who recently affirmed its commitment to the platform, calling for developers to pitch their games to the publisher. This page contains affiliate links to products. We may receive a commission for purchases made through these links.